The unity candle ceremony consists of individual taper candles that are used simultaneously to light a central pillar candle during the wedding ceremony. 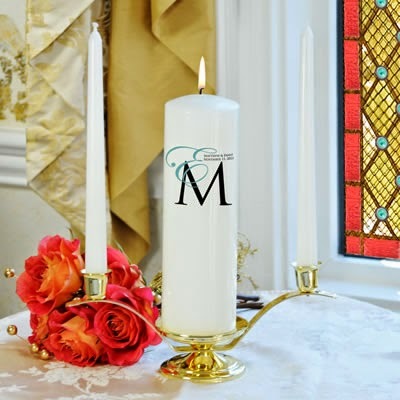 The mothers of the Bride and Groom or other significant members from each family light the taper candles early in the ceremony, then the Bride and Groom take the tapers to jointly light the center pillar candle. Another option is to have the Bride and Groom light each individual candle and then light the central pillar candle together. Often, verses are read or special music is played during the lighting of the candles to express the union of two into one. The Unity Sand Ceremony has become very popular in recent years. It's perfect for outdoor ceremonies where weather can create issues with lighted candles. 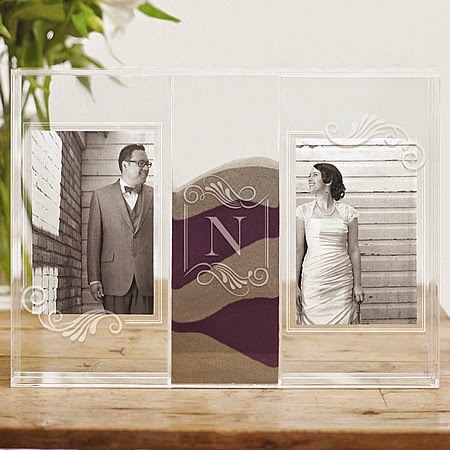 It also creates a memorable keepsake from your ceremony. For the unity sand ceremony, you select three decorative glass vases and place one color of sand into one vase and a second color into another vase. This is designed to represent the Bride and Groom. At the appropriate point in the service the Groom pours a portion of his sand into the center third vase. The Bride then pours a portion of her sand in on top of the Groom’s in the third vase. To conclude, the couple jointly pours the remaining sand in each of their respective vases into the central vase. The commingling of the sand is an impressive demonstration of two becoming one. When children are involved, you can simply add additional colors of sand and incorporate the children into the sand ceremony. It is a safe and meaningful way to symbolize the new blended family. Your vases can be engraved with initials, names or the wedding date making them a beautiful keepsake for years to come. Affordable unity sand ceremony vases and supplies are available at WhereBridesGo.com. Rose are also sometimes used to create a memorable unity ceremony. A series of three vases are used for this ceremony. The Mothers from each family place roses in the outside vases. These should be different but complementary colors and should include one rose for each member in the immediate family. One rose in each group can be identified with a personalize ribbon. This will symbolize the Bride and Groom. At the suitable time during the wedding ceremony, the Bride and Groom removes their rose from the family vases and places it in the center vase signifying the blossoming of their new family. The resulting floral display makes a beautiful addition for the head table or guest book table at the wedding reception. Following the event, you can preserve the roses by hanging them upside down in a dark location. This makes a wonderful contribution to your box of keepsakes!